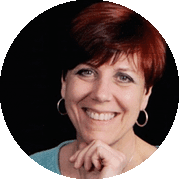 Cathlene Heideman was the owner of a successful practice, Acupuncture by Cathy, in Springfield, Virginia and a long time user of Jasmine Practice Management. Cathy used Jasmine to take her practice paperless with SOAP Notes, which include tongue and pulse diagnosis and easy Meridian-based needle point entry. Also, she talks about her customer service experience with Jasmine. Below are her experiences and how Jasmine Practice Management helped her in her practice. “The Jasmine PM software is the perfect EHR for my acupuncture practice. The SOAP note is laid out just for acupuncture. The templates include what I need, including tongue and pulse parameters and drop-down check boxes for choosing points. There are plenty of customizable sections so I can be as verbose or as concise as necessary. Minto Tsai, the developer of the software, is there every step of the way. He is always available when needed and ready to adjust the software as demand requires. In summary, Cathy was looking to go paperless in her practice and at the same time, easily take acupuncture specific notes like tongue and pulse diagnosis as well as needle points. And as a single practitioner, she needed great customer service! We love hearing about our customer's success stories. If you're interested in learning more about Jasmine Practice Management, please contact me at mintotsai@jasminepm.com. New EMR. Old Paper Notes.